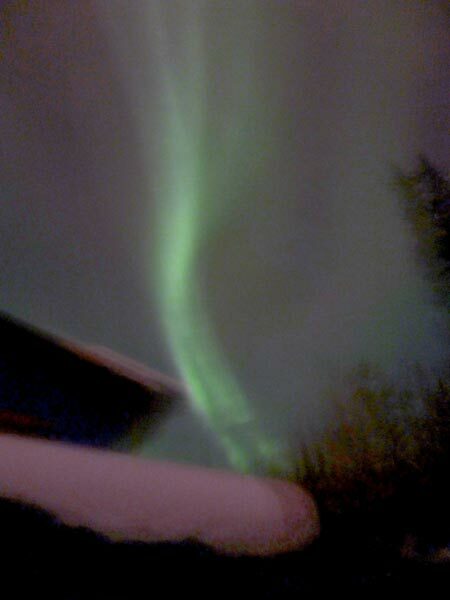 Fairbanks, Alaska, offers auroral viewing possibilities at the place where Sydney Chapman spent a large part of his career. This venue, along with our anticipation of new knowledge expected from the Magnetospheric Multiscale (MMS) mission on how magnetic field lines from the Sun and Earth connect and the impending arrival of NASA’s Juno spacecraft at Jupiter’s magnetosphere on 4 July 2016, provided a perfect confluence of factors for our fall 2015 review of magnetospheric dynamics. The Chapman Conference format proved to be ideal: More than 100 participants engaged in an intense 5-day discussion of all aspects of magnetospheric physics, culminating in an all-day discussion of the preliminary results of MMS. On Monday, the first day, Vytenis Vasyliunas presented a keynote lecture on comparing magnetospheres. Fran Bagenal and Peter Delamere followed up with perspectives on expected Juno contributions. They also compared the interactions of the solar wind with the giant planets’ magnetospheres and with Earth. The speakers discussed how magnetospheres of Saturn and Jupiter are driven mainly by planetary rotation but also have important reconnection phenomena (the Vasyliunas and Dungey cycles, which involve reconnection along a stretched closed field line and reconnection of two open field lines, respectively). These cycles cause plasma circulation in the magnetosphere and dynamic auroral displays, which offer many opportunities for comparison with Earth’s magnetosphere. In Tuesday’s keynote lecture, Jim Drake identified two fundamental routes to fast reconnection: through the formation of a steady open outflow channel (from Hall reconnection, where ion dynamics control the reconnection rate, and through the formation of a bursty outflow channel in which magnetic islands carry plasma downstream). This talk was followed by Paul Cassak’s discussion of the asymmetric reconnection phenomena that occur at Earth’s dayside magnetopause. Also on Tuesday was Li-Jen Chen’s presentation of preliminary MMS electron-scale measurements in a possible reconnection diffusion region, in which magnetic energy is converted to particle energy, causing the magnetic field lines in the solar wind and the magnetosphere to break and reconnect, one to the other. Jimmy Raeder and Yu Lin presented global magnetosphere modeling results. Afterward, Amitava Bhattacharjee discussed the integration of kinetic effects into these models. On Wednesday, Howard Singer gave a keynote talk on space weather, and Bob Schunk brought us up to date on the theory and modeling of ionospheric outflow and its effects on the magnetosphere. A record-setting 16-inch (0.4-meter) September snowstorm that morning knocked out power to the meeting hotel for 9 hours. No sessions were planned for that afternoon, thankfully. After the weather cleared, some attendees who stayed up late saw a demonstration of Earth’s magnetospheric effects in the form of a spectacular aurora. On Thursday, Jim Klimchuk gave a talk on magnetic reconnection in the solar corona, noting that reconnection on the Sun at the base of magnetic loops seems to be patchy and irregular. It remains to be seen whether this is an important aspect of reconnection in the magnetosphere. On the basis of the dayside tail reconnection system, Joe Kan proposed that the transport of solar wind kinetic energy by tail lobe current loops powers magnetic storms and auroral substorms by driving the global earthward convection into the inner magnetosphere and down to the oval ionosphere by field-aligned currents. Chris Chaston discussed energizing plasmas from the plasma sheet to inner magnetosphere by kinetic Alfvén waves. Mei-Ching Fok discussed the earthward convection that dominates the storm time ring current buildup and the very low frequency waves that enhance the fluxes of relativistic electrons during storm recovery. The conference gave us a look at what’s next in our field, now that the Magnetospheric Multiscale Mission is supplying, and Juno will supply, an unprecedented depth and breadth of data. The Friday session focused on preliminary MMS results, starting with an overview by Jim Burch showing features of the high-resolution data set during crossings of the magnetopause. He noted that the MMS data would become openly available as of 1 March 2016 (these data are now available). Craig Pollock and Tai Phan gave reports on the unprecedented time scales and accuracies of MMS’s plasma measurements, and Roy Torbert and Bob Strangeway reported on the spacecraft’s magnetic and electric field measurements. Stephen Fuselier described ion composition effects on reconnection, and Barry Mauk and Joe Fennell described energetic particle observations. We enjoyed the conference: It provided a good assessment of our current understanding of magnetospheric dynamics. It also gave us a look at what’s next in our field, now that MMS is supplying, and Juno will supply, an unprecedented depth and breadth of data. Citation: Kan, J. R., and J. L. Burch (2016), Exploring new knowledge on magnetospheric interactions, Eos, 97, doi:10.1029/2016EO049355. Published on 6 April 2016.